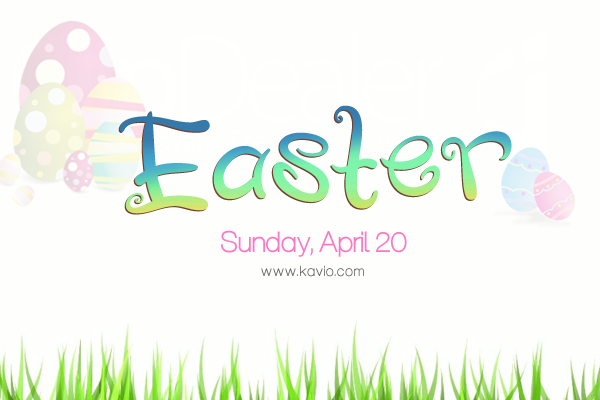 Welcome to Kavio’s Official Blog. - Basics to Fashion Clothing & Apparel. : Cool Ideas for Easter Weekend! Cool Ideas for Easter Weekend! EASTER is nearly upon us! And this year is going to fall on this coming Sunday April, 20th. Hopefully we're all prepared because it only comes once a year but especially if you have little ones it's a really exciting time for both the parents and kids. Perfect timing for family get togethers, whether your family is a religiously observant; the day is a ritual of children egg painting, hunting and crafting many other fun items. With 2 full days left for planning it can get quite hectic, but believe that it's going to be well worth it. Although you may already have a few crafting activities ideas in mind, we've got some if you're looking for a few more. Apart from preparing your eggs and paint for your Easter eggs, the day will be fun-filled with crafty kids getting their hands in paint, glue and whatnot. So while, you're at the craft store picking a few last minute items, drop by the paint isle for some fabric paint and animal foam stickers for the little ones to decorate their Easter Tees! If you're planning to let the kids do a little painting, try getting a few blank kids tee in several colors if you have boys and girls. Or if you're hosting a party and they're all girls, some adorable ruffle Sunflower Tees would be really cute! Featuring delicate ruffles along the neckline and arm sleeves, it makes a great canvas for the little artists! 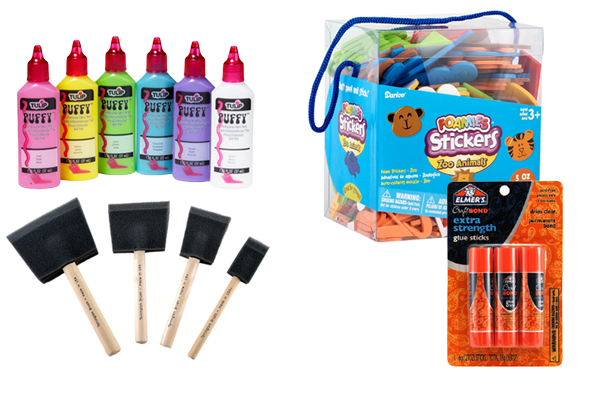 Stock-up on a few colors for the fabric paint and some foam brushes and the kids are good to go! We're excited this weekend for lots of Easter activities, hilarious games, cute family Easter gear and a plenty of adorable dresses for Easter Sunday with fantastic decorations from bright to light harmonious colors.